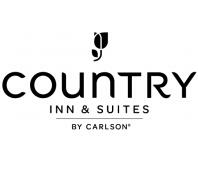 A leader in the upper midscale hotel segment, Country Inn & Suites locations feature residential architecture and welcoming interiors to give you the feeling of home. Each location features décor that is warm, welcoming, modern and friendly. When guests stay with us, we want them to feel at home. So we provide amenities to make their stay as productive and comfortable as possible, like free high-speed Internet, complimentary hot breakfast, fitness centers, swimming pools, complimentary cookies, and much more.